After sifting through 22 million public comments and filtering out all duplicates and fakes, researcher Ryan Singel revealed that a whopping 99.7 percent of unique comments submitted to the FCC on Net Neutrality opposed the agency’s plan. 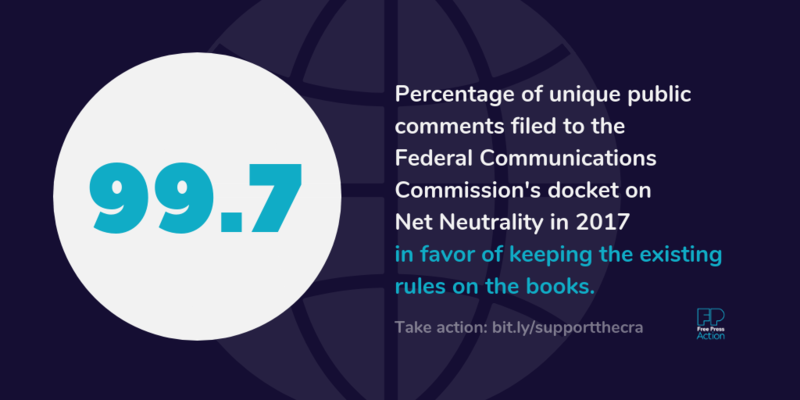 This new discovery reveals that, once the fog of misinformation cleared, nearly all of the people who spoke up in the public proceeding wanted the FCC to abandon its plan and keep the Net Neutrality rules in place. FCC Chairman Ajit Pai nonetheless pushed forward, going so far as to post a controversial “comedic” video at the height of the proceeding, a video that was produced by members of the far-right hate group Proud Boys. This, despite nationwide protests and the harrowing public testimony people submitted about how much they relied on the open internet. Why did the FCC ignore the public and vote to repeal? Even before Trump appointed him to chair the FCC, former Verizon lawyer Ajit Pai said he was determined to “take a weed whacker” to the Net Neutrality rules and other regulations governing telecommunications. Pai’s approach is a dream come true for big telecoms that crave less oversight in their quest to chase profits over people — but fundamentally harmful to the public Pai is sworn to serve. 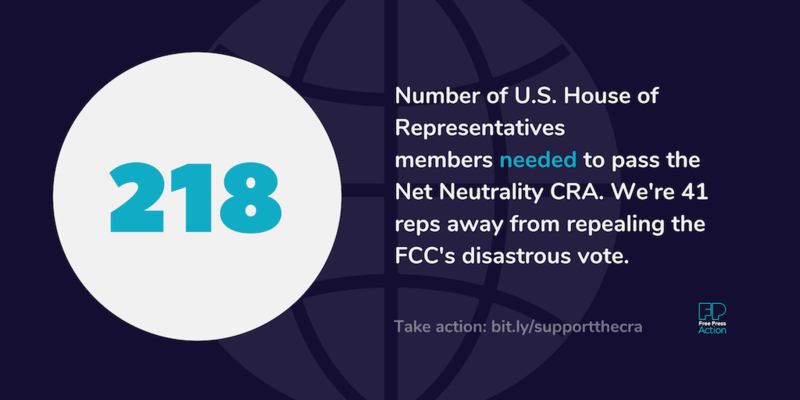 It has, but it needs to finish the job: In May 2018, the U.S. Senate voted 52–47 to pass a resolution under the Congressional Review Act (CRA) that would overturn the FCC’s repeal — a historic victory for the millions fighting for the open internet. But to take effect, the resolution must also be passed by the U.S. House of Representatives. 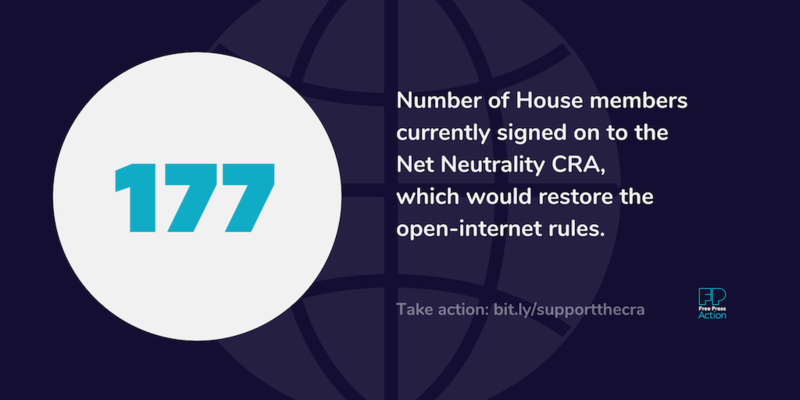 We need 218 representatives to sign on, and we’re just 41 reps away. People depend on a free and open internet for everything from employment and education to health care, economic opportunities, community organizing and vital support services. Is this the legacy that today’s public servants want to leave behind? The end of basic democratic norms? A government that’s elected by the people but ignores the people? The FCC’s GOP majority may be OK with such a legacy. The U.S. Senate, on the other hand, has acknowledged our voices. Now it’s up to their colleagues in the House of Representatives to answer this defining question. Time is running out, so it’s more urgent than ever to call your representatives and urge them to get on board. Use our easy online call tool to be automatically connected to your representative’s office now. Victory is still within reach. If we keep raising our voices, centering the voices of those most impacted, and highlighting the hypocrisy of those in power, we can win this fight. And it all starts with you. Get involved now by making a call. 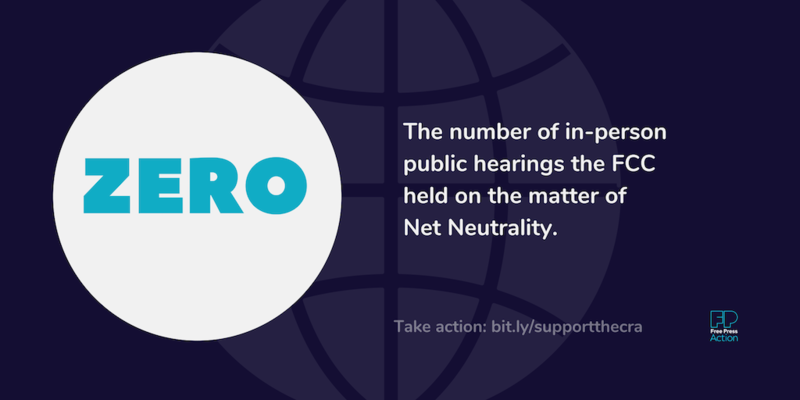 Share this recap with your friends and fellow internet activists, and let’s keep the momentum going. It takes only one call to make a difference.